Planning to Visit St. John? Here's some information for you! Where do we park? 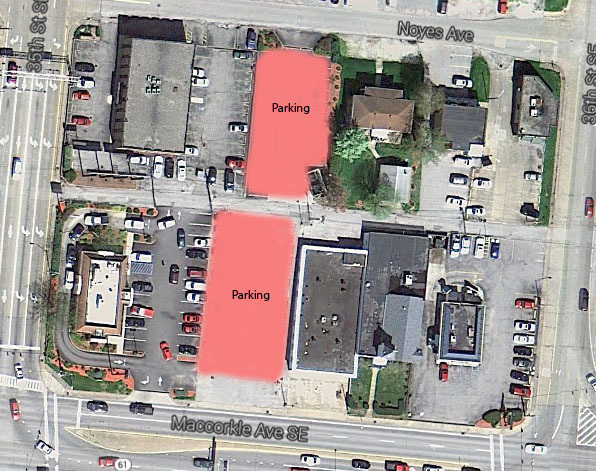 There is limited parking available behind the church (Northwest side) and on weekends you can also park in the Smith Cochran and Hicks parking lot across the street (just West of the church). Click here for a parking info photo. How long are services? Our Sunday Divine Liturgy begins at 10:00 a.m. (and is preceded by the Orthros/Matins service at 9:30 a.m.) and goes for about one hour and fifteen minutes. During the week Divine Liturgy starts at 9:00am. Is the church handicap accessible? If you enter through the Northeast door there is a ramp to go up to the church. Is there a dress code? While there is no “formal” dress code, Orthodox worshippers tend to dress more formally at services, wearing what might range from business casual to a suit and tie. Can non-Orthodox receive Holy Communion? While we welcome everyone to worship with us at all of our services, Holy Communion is considered a sacrament of the church – the very presence of Jesus Christ (“take, eat, this is my body”) – and so is reserved for members of the Orthodox church who have properly prepared themselves to receive the Body and Blood of our Lord. Non Orthodox are invited, at the conclusion of the service, to come forward to receive a piece of the blessed bread (the andidoron). Is there Sunday school? From September through May, there is a Sunday school program for grade school through high school. Classes begin immediately after communion. Is there childcare provided? In Orthodox worship it is encouraged that children worship with their families. The church does not offer child care services.